Just got home from my buddy Jeff’s place. Driving back, I was struck by the same feeling I get every time I’m in a car in São Paulo. The narrowness of most streets, the height of the buildings that line them, looming fifteen, twenty storeys high in concrete and steel and glass. This isn’t a pretty city. Booming, thriving, vibrant, alive, a powerhouse fuelling one of the strongest economic booms of this century so far – but not pretty. And every time I drive these streets and look out of the cab window, catching a glimpse of sky every ten seconds or so through a gap between two towers, my thoughts turn to those future cities of my imagination, those cityscapes where fifty storey scrapers are the norm, where a population boom crams tens of thousands into a hundred square yards.The ugly and beautiful, dystopia or utopia, but all squeezed together cheek by jowl and reaching for all the stars above all the worlds that we’ll have conquered. Hey Steve, thanks for commenting. I never actually played Sim City 2000, somehow – think I skipped over it to 3000. 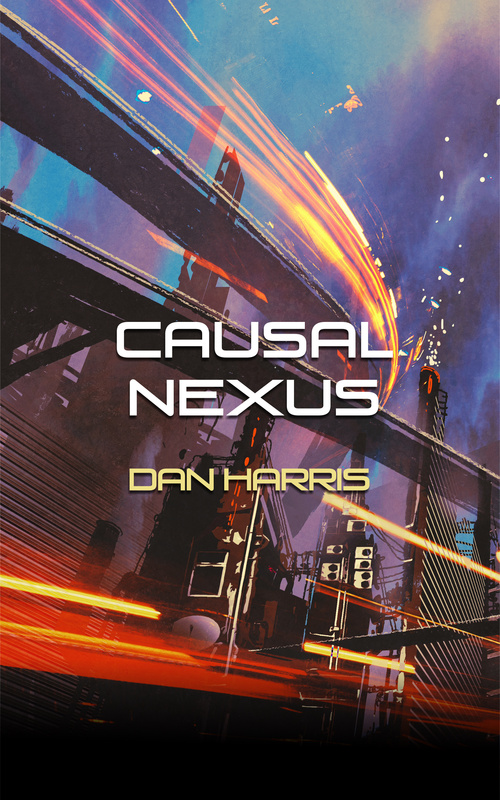 But the arcologies in the game did pop up in the research I did for my novel – because when you’re dealing with vast future populations, you need to put them somewhere, don’t you? Do you need both though? From what you say about the book, humanity expands to new planets as part of its growth. Does it also need to pack more people into one place (the answer may be yes…)? If so, maybe not all planets have “arcology” type things – maybe only the central / earlier settled / important / prosperous ones? Indeed, and I’ve not explicitly used arcologies anywhere on a planet’s surface in the novel – mine are in space, where maximising the population/resource ratio would be far more important. So like starbases in Star Trek, but bigger and containing whole cities / nations / species? The one thing that always interested me about space travel in fiction is the concept of “space lanes”. The idea that in the vaste expanse of space, where travel could be random given the infinite routes, there are paths which are more heavily trodden than others. I think Star Wars does this very well, having things such as the Kessel Run and other space lanes which are quicker / more convenient. Same as in EVE / Mass Effect / Stargate with its star gates – the idea that travel to certain places is easier than others.